Xikar Incorporated was the brain-child of Kurt Van Keppel and his friend Scott Alsmberger. They would form the company together in the mid-1990s. It all started with a cigar cutter when the two men set out to create a better design than what had been currently available. Most cigar cutters up until that point had been flimsy and surprisingly inefficient in how they operated. Van Keppel wanted to create the Xikar cigar cutter, which could be operated easily and quickly cut off the cap of a cigar using only the palm of one hand. Ten years after its inception, Xikar cigar cutters can now be found in over 3,000 shops across the globe. It all started with a rather simple idea. Back in 1994, the company’s founder found all the cigar cutters available were under performing, whether they were inexpensive or premium designs. He set out to improve cigar cutters and also create additional accessories for cigars. Xikar has now become one of the leading cigar accessory manufacturers in the world today. They are no longer known for just their cigar cutters, but also a slew of other products. 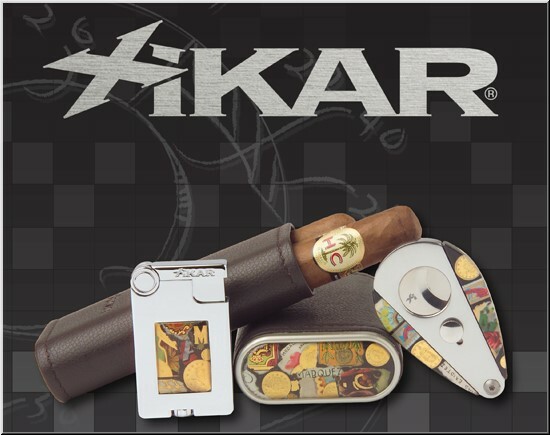 Xikar lighters have become some of the most well-respected and sought after cigar lighters available. Xikar lighters are unique because they are designed to combine function and style. Their lighters carry a lifetime warranty from the manufacturer and they are confident in the dependability of Xikar lighters. You can find Xikar lighters in unique styles that are unavailable by any other brand. Windproof flames and highly durable casings are just two of the fine qualities of these lighters, while . One of the most famous and popular Xikar lighters is their Element series. These lighters are easy to ignite and have a powerful double-jet flame, perfect for lighting cigars. It contains a fuel gauge as well as an adjustment wheel to make sure you can create the perfect flame. If that wasn’t enough, they have hidden a cigar punch in the base of the lighter for added convenience. The Xikar Element lighter is just one example of the innovation of Xikar lighters. Xikar continues to produce high quality cigar accessories and create new, innovative products to make your smoking experience a better one. Their accessories don’t stop at lighters and cutters. Xikar manufactures a number of humidors and cigar cases that have become equally well-respected. They strive to make any cigar accessory the best it can be, and this is demonstrated with the release of new products each and every year. Furthermore, Xikar believes in providing their products at a fair price.